Now, more students can work at this countertop space. Photo credit to Emma Bally, ’17. Ms. Walk rearranged the bookshelves. Photo credit to Emma Bally, ’17. As most of you have seen, the library has a new look—to the shock of many. This remodeling comes after a two-year process of Ms. Walk trying to find the best way to utilize the space without breaking the rules. The initial push to remodel the library was met with a little hiccup. The library regularly gets its floors waxed, and the wax builds up around the bookshelves. This could have been a huge problem when trying to move the shelves, as tiles could be removed in the process. Though this was a concern with the old custodian, the new custodian assured Ms. Walk that said problem was not really a problem at all. So the remodeling that for two years was but a thought in Ms. Walk’s head came to life in only ten minutes. As Ms. Walk put it, the reason for the remodeling was “tri-fold.” The main priority was improving her line of sight of the students behind the little bookshelf partition. 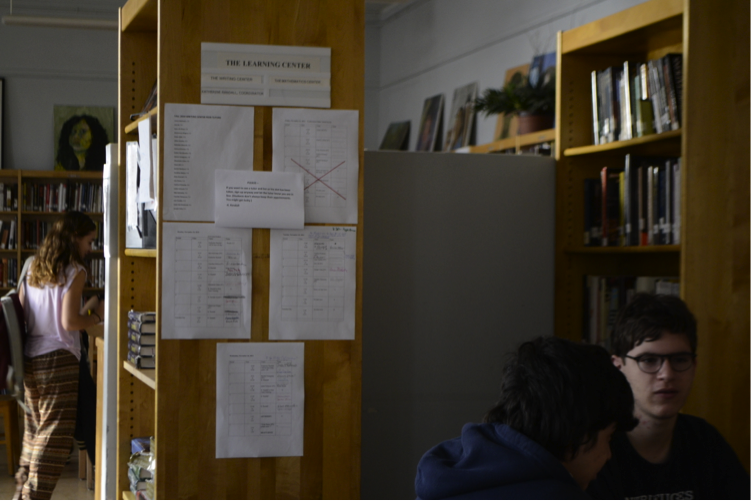 Students’ safety is the number one priority at BHSEC, and the library is no exception. The second motivation for this bold change was to increase the amount of space available. As a result of moving the three shelves, Ms. Walk is able to utilize the shelves more efficiently, and place more books in the library without even needing to get more shelves. In addition, moving the smaller shelf creates more student seating for its countertop; before, only two students could sit there. Now, six students can. The third and final reason for remodeling the library was to increase the amount of light. As a result of these shelves being moved away from the window, more natural light enters in the library, making the space seem brighter. It also helps comply with the library’s no light policy. The no-light policy refers to the fact that the library almost always has it lights off, incase you haven’t noticed. This change initially incited negative reactions from the students, and there are still mixed feelings about it a month after the remodeling. Y2 Janna Adelstein said, “This was a very bold move by Ms. Walk” and that it was shocking to her. Another student, Nevaeh Thompson, a 10th grader, said she “loves it.” She likes the spacious feeling the remodeling brings, as opposed to the previous perception of being behind a block. Though students were shocked by this new look, they were not the only ones who needed to make a transition. Ms. Walk herself admitted that the new look was strange at first, and made her feel anxious. But the feeling and the look has grown on her now. Ms. Randall, whose office area is behind the shelves, also likes the new design, as Ms. Walk had reassured her she would. It wasn’t a huge change for her, except for the fact that her Writing Center sign sheets had to be moved. She was expressed that she was surprised by the students’ dislike of the remodeling. 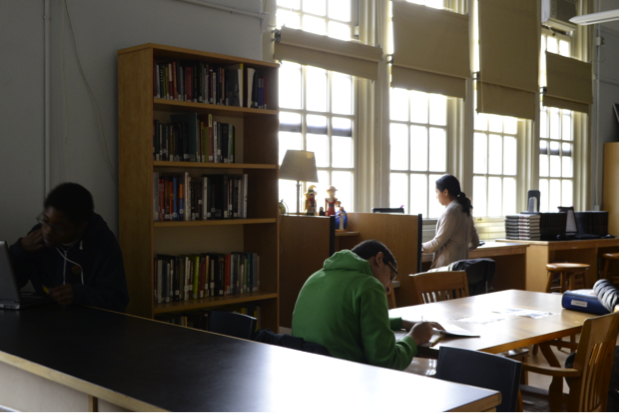 Overall, the library’s remodeling generated mixed feelings amongst all. It’s a month later though, and the library has become the familiar place that many BHSEC students have come to call almost a second home. Though this change was shocking and probably devastating to some students, the library’s vibes have remained the same.